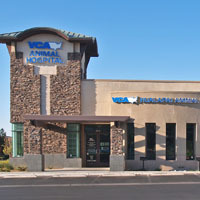 The new Western Veterinarian Conference Oquendo Center is located onEastern bet ween Patrick and Sunset. This new center houses their training facilities for all aspects of advanced veterinarian training for practicing doctors across the world. 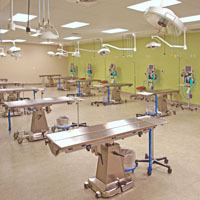 Veterinary education evolves at the state-of-the-art, interactive Oquendo Center. Its amenities – from the 190-seat theater, flexible meeting space accommodating various capacities and fully equipped clinical and diagnostic laboratories – advance worldwide health solutions. Participants experience year-round professional development classes, networking and special events at the 70,000-square-foot facility. 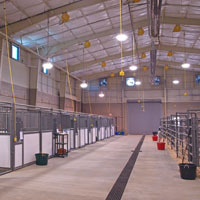 The facility contains varied areas including a tiered lecture hall, various meeting rooms, support office space, veterinarian practice spaces including operatory area, teaching areas, boarding areas, etc., as well as a large animal “barn” area for large animal practice instruction. This truly one of a kind facility has been designed by Leo Borns Architect, with design assistance from Breslin Builders Design Group and Carpenter Sellers Architects completing interior design services. Breslin Builders provided full design-build services for a new medical marijuana dispensary located within and existing inline retail center at East Sahara Avenue and Maryland Parkway in Clark County, Nevada. Inyo is a 3,000 plus square foot tenant improvement provided various areas and uses for the dispensary functions and was designed to ensure compliance with the State of Nevada MME regulations. Areas include a check-in/waiting room, medicine room with sales counters, secure storage areas, restrooms, an office, and secure delivery area (see more here). Breslin Builders provided full design-build services for a new medical marijuana grow facility and production facility located in Clark County, Nevada. Phase one of the almost 32,000 square foot facility consisted of multiple grow rooms, a secure vault, drying and trim rooms, as well as other facility support areas including offices, restrooms with a shower area, and a break area. A portion of the facility remains open for a Phase two expansion when demand increases. The facility was built-out inside an existing office/warehouse building. In addition to the cultivation facility, we provided separate design-build services a new MME production facility attached but separated from the cultivation facility (per Nevada state requirements). This facility produces cannabis infused products for distribution to various dispensaries in the valley. Areas included extraction rooms, a full commercial kitchen setup with a hood, packaging areas, and storage areas, along with an office and restrooms. Breslin Builders provided full design-build services for a new medical marijuana grow facility located in Clark County, Nevada. Phase one of the almost 20,000 square foot facility consisted of multiple grow rooms, a secure vault, drying and trim rooms, as well as other facility support areas including an office, changing rooms, restrooms with a shower area, break room. A portion of the facility remains open for a Phase two expansion when demand increases. The project was constructed inside and existing metal warehouse structure. 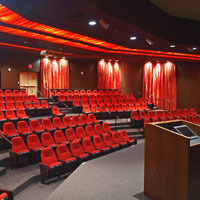 Breslin Builders provided shell construction services for this dental training and conference facility located in Summerlin, Las Vegas, Nevada. The project is a two-story multi-use facility, geared around the dental industry. Breslin Builders also provided tenant improvement design and construction services for many of the tenants in the building including a dental teaching facility, dental office, and a dental lab space. Breslin Builders provided shell and tenant improvements construction services for this multi-story multi-tenant medical office building located in Las Vegas, Nevada not far from Valley Hospital. 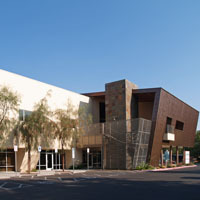 Breslin Builders provided construction services for this Class “A”, two-story, multi-tenant medical office building located adjacent to Sunrise Medical Center. Breslin Builders provided shell and tenant improvements construction services for this animal hospital. Breslin Builders provided tenant improvement construction services for this medical tenant office space located at Sunrise Doctors Pavilion.